Book your jump with Skydive Paraclete XP today! Skydiving Fayetteville, NC has never been easier, thanks to our online reservations system, which is available 24 hours a day. Alternatively, give us a call at (910)-904-0000 and we’ll be happy to help you with anything you need. 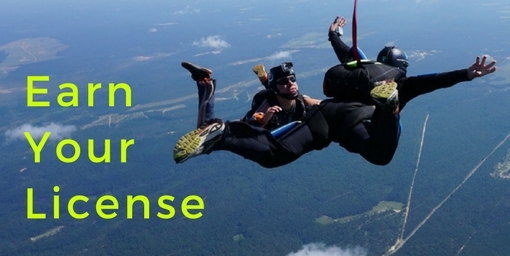 Making your skydiving reservation is simple. Click the button below and select a date and a time that suits you. You’ll receive your confirmation of booking via email. Prior to booking your skydive, please review our skydiving FAQ page to ensure that you’re eligible to skydive with us. On the day of your skydive, please plan to spend at least 4 hours at Skydive Paraclete XP. Our skydiving center is located just minutes from Fayetteville, NC off of 401. If you have further questions, please feel free to contact us!